An experience worthwhile in Bhopal! An assurance of comfort and brilliant services at reasonable rates, makes Hotel Sandal Wood in Bhopal an ideal accommodation for you with the additional perk of its easily accessible location. 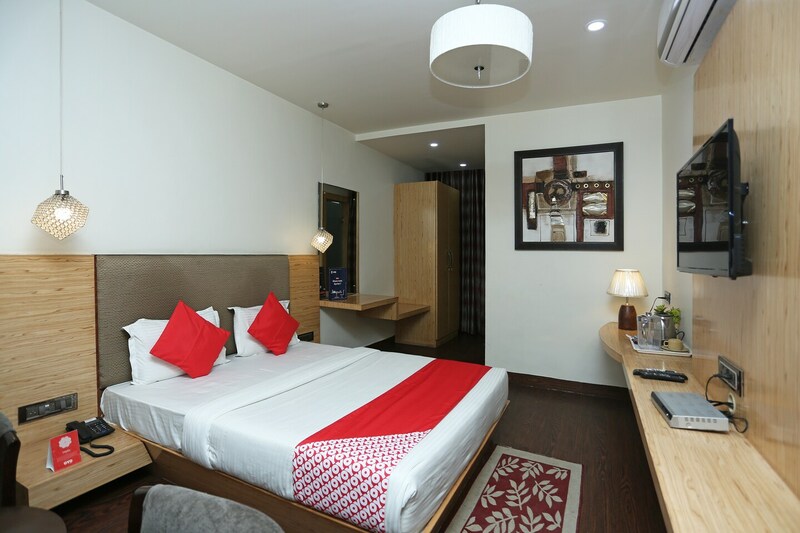 The rooms are well equipped and fully furnished with trendy interiors and decor which suit the tastes of guests. To make sure that you do not face any troubles in connecting with the world around, the hotel provides free Wi-Fi connectivity. Not only this, facilities like card payment option, power backup, banquet hall and an in-house restaurant are also provided. With the assistance of the staff, a stay at this hotel will surely become a worthwhile experience.